VA guaranteed loans are made by private lenders, such as banks, credit unions, or mortgage companies to eligible veterans for the purchase of a home, which must be for their own personal occupancy. Veterans apply for a loan through a lender and if the loan is approved, VA guarantees a portion of the total loan amount. VA’s guarantee allows the veteran to obtain a competitive interest rate without having to make a downpayment. The amount of a loan a veteran can be approved for depends on the property location and entitlement available, as well as credit and income factors. Please contact a VA-approved lender for assistance in determining the loan amount that you may qualify for. Equal opportunity for all qualified veterans to obtain a VA loan. Ability to finance the VA funding fee (plus reduced funding fees with a downpayment of at least 5% and exemption for veterans receiving VA disability compensation). .If you have a home built, VA cannot compel the builder to correct construction defects although VA does have the authority to suspend a builder from further participation in the home loan program. VA cannot guarantee that a veteran is making a good investment. VA cannot provide a veteran with legal services. HOW DOES A VETERAN OBTAIN A VA GUARANTEED LOAN? Contract to purchase: Veteran selects home and discusses purchase with seller or selling agent and signs purchase contract conditioned on approval of a VA guaranteed loan. Loan application: Veteran selects lender, presents Certificate of Eligibility, and completes loan application. Lender will develop all credit information and request VA to assign a licensed appraiser to determine the reasonable value for the property. veteran will pay for credit report and appraisal unless the seller agrees to pay. Either VA or the lender will issue a value for property for loan purposes based on the appraisal. Loan decision: If the established value is acceptable to all parties and the lender develops that a veteran is credit and income qualified, the loan may be approved. Most lenders are authorized to make this decision. Loan closing: Veteran (and spouse) attend the loan closing and sign the note, mortgage, and other related papers. HOW CAN I OBTAIN MORE INFORMATION ABOUT VA HOME LOANS? Call VA at 1-877-827-3702 or visit VA’s web site at or contact a local lender or real estate professional. 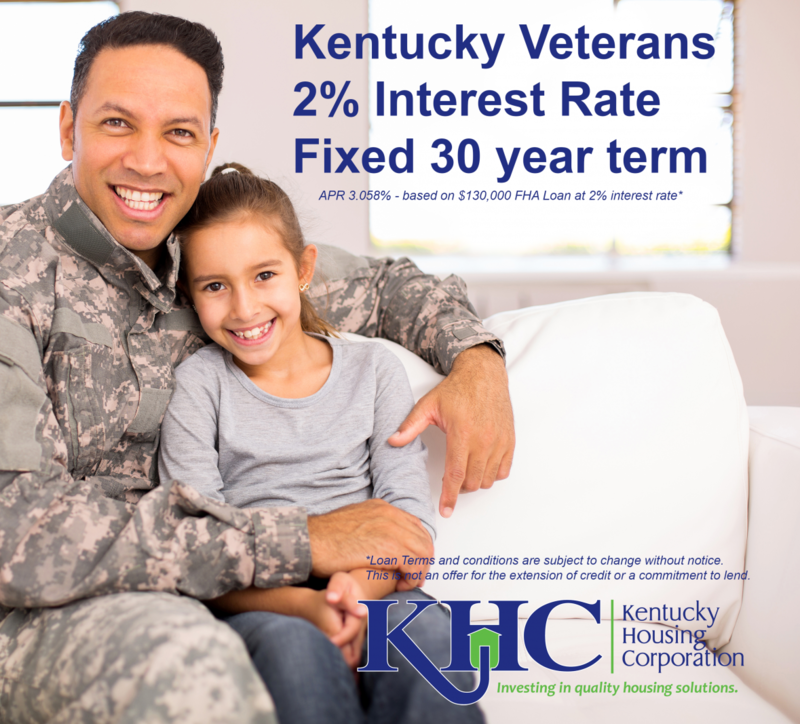 TEXT OR CALL 502-905-3708 WITH YOU KENTUCKY VA HOME LOAN QUESTIONS. What Does Having Basic Entitlement of $36,000 Mean? The $36,000 does not represent the maximum loan amount you can obtain through the VA Home Loan Program. The figure merely provides evidence to your lender that you have full VA entitlement. With this entitlement and underwriter approval, you can obtain a loan in an amount up to $417,000; some high cost counties have even higher limits. I Now Have My COE, What Do I Do Next? Contact any VA approved lender and start the loan process. Do note that the COE does not guarantee you a VA loan; you still must qualify based upon your income and credit. VA does not do any direct lending, and as such VA does not accept loan applications from veterans. You must contact a VA approved lender in order to apply for a VA loan. For more information about VA loans, visit www.benefits.va.gov/homeloans/. What is the VA Interest Rate? VA does not establish interest rates or closing costs for VA loans. Rates are negotiable between you and your lender. It is advisable to obtain quotes from at least three different lenders. What is the Minimum Credit Score Required for a VA loan? VA has no minimum credit score requirement. However, the lender you choose to do business with may have such a requirement. What Types of Property Does My COE Cover? The VA Home Loan program guarantees loans for real property that is to be used by the veteran as a primary residence. The program does not cover vacation homes, vacant land, multiplexes in excess of four units, motorhomes, small business loans, or commercial buildings. Can I Use My VA Entitlement to Refinance? Yes. You can refinance any type of loan on your property using your VA entitlement. Why Does My COE Reflect a Paid-in-Full Loan With No Restoration of Entitlement?